Yes, and you can click here to find out how serious it is. Although I am slightly disturbed after browsing through a couple of the completely harmless and badly written stories, I will admit that there is definitely something hilarious about one of these being turned into a musical track. 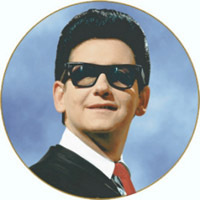 "Roy Orbison In Clingfilm" by Jeremy Felt, unless otherwise expressly stated, is licensed under a CC BY-SA 4.0 International License.